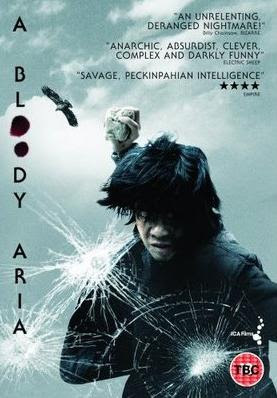 A Bloody Aria (Guta-yubalja-deul) is lesser know Korean film from director Shin-yeon Won. On a day trip through the countryside, aspiring opera singer In-jeong (Ye-ryeon Cha) flees to the woods to escape the advances of her colleague professor Park Young-sun (Byung-joon Lee), and runs into a disturbed group of country-bred thugs. In-jeong finds herself reunited with Yeong-sun and it slowly becomes clear that the pair is being held captive to participate in the gang's sadistic mind games. While slightly less disturbing, this movie reminded me of famous american thriller Deliverance, where main protagonists fall into similar situation where usual laws of society stop working, and another set of laws kicks in. Recommended for anyone who enjoys movies with a lot of suspense in the air.